Phoenix, AZ – July 6, 2017 – ABI Multifamily, the Western US's leading multifamily brokerage and advisory services firm, is pleased to announce the $1,445,000 / $96,333 Per Unit sale of the 15 unit Roanoke Apartments. 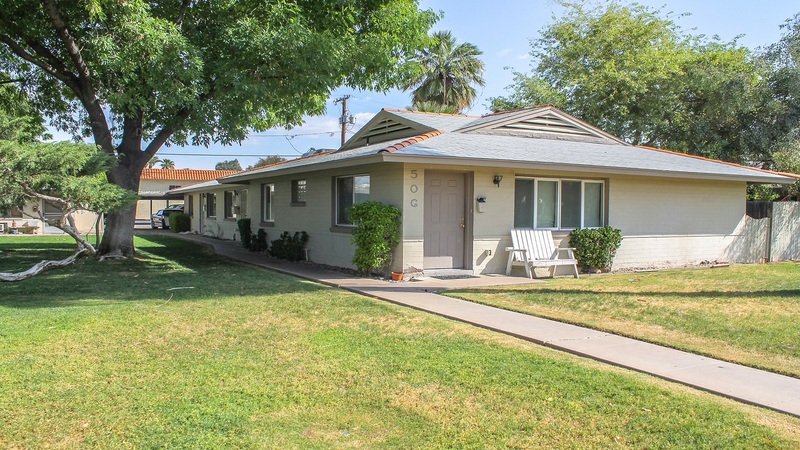 Located in the heart of Midtown Phoenix, Roanoke is a single-story garden style community which rests on 0.75 acres of land and was completed in 1955. Built of block construction, the property features (3) Studios, (10) 1 Bed and (2) 2 bedroom units with an average size of 617 square feet. Patrick Burch, Vice President at ABI, representing the Seller in the transaction notes, "investor demand for properties in both the Midtown & Downtown submarkets is overwhelming. Given the dramatic increase in economic activity, both from a jobs and construction development standpoint, has made these areas the epicenter of sustained renter interest." The Seller is a private multifamily investor based in Arizona. The Buyer is a private multifamily investor based in California. Phoenix based ABI Multifamily Vice President Patrick Burch and Vice President John Klocek represented the Seller in these transactions.